To roll a dice is like play with your destiny. However, everything has its own system. Sun rises at the set period of times. Every day. 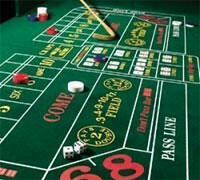 Don't you think that craps also has its own pace to bring you the necessary combinations? Let's try to find out what rules can be applied to your craps winning strategy to find the best. Labrouchere betting system is one of such ways to your sure win. It is also called Negative progression system or Cancellation system. It is also used as roulette strategy, but works quite well with craps too. So, what are the magic moves you should make to catch your luck? 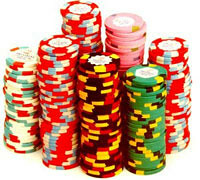 Labouchere system works perfectly with online craps rather than with brick and mortar casinos. Why? Because you can easily keep track of your bets playing with your computer. So, let's start. First of all, you should set a series of numbers. In other words, indicate your betting units. You should keep such series short with small numbers. The numbers can be chosen at random. For example, 1, 2, 4, 1, 4, 1. The sum of your series is your expected profit. In our sample, it is 13. You should start with the bet equal to the sum of two numbers on the end of series. 1 + 1 = 2 units. In case you win, you should cross both numbers (1 and 1). The next bet to make is the sum of your next two outside numbers appeared. In our sample it is 2 + 4 = 6. If you win again, cross these two units and play with 5 units left in your series. A win will give you a total of 13 units (2 + 6 + 5). As soon as you cross all the units, you should start with 2 units again. However, the example above works if you win three bets in a row. What should you do if you lose? In this case, you just put the amount you lost at the end of your series. Then bet two outside numbers. Let's check it with our sample. The series is 1, 2, 4, 1, 4, 1. You play with 2 units and lose. Add 2 units into the end - 1, 2, 4, 1, 4, 1, 2. Thus, your next bet should be 1 + 2 = 3. If you lose again, add this number (3) to the end of the series. Now your next move is to play with 1 + 3 = 4 units. Now you understand why to make your series short with small numbers is a must. You should experiment on paper for a while. Try different series of numbers to find what your limit is. What series force you to place high bets. It is necessary to set your budget as well as to check the table limits applied for some craps game.